Imagine not only being able to tell what other companies are doing but having a computer model that could "learn" from the data of other companies who recently faced similar challenges and predict any future patterns to make the best decision. The advanced options for analyzing that big data presents, brings limitless opportunities to improve daily processes. With industries facing intense competition, efficiency must be built into every part of daily operations and decision making. Forward capabilities in technology, such as predictive analytics, provide the opportunity to improve operations and increase productivity by using "leading indicators" rather than only historical data. It also provides deeper insight into consumer behavior which can assist with supply chain management and improve customer relationships. Not only being able to analyze surface-level patterns for decision making but uncovering deeper underlying patterns using predictive models is indispensable . As an analyst whose work is centered on exceeding pricing goals and very bottom lined oriented, it is imperative to explore all advantageous sources for answers. Predictive analytic models advance the options of using nontraditional data sources, for instance any form of text whether it be a product review or social media comment, to offer additional analysis and pricing negotiation. I am also able to progressively take advantage of data flows in order to improve business processes. Having this data stored in separate, incompatible systems makes it nearly impossible to be drawn together and offer its true potential benefit. Predictive analytic software also offers the speed needed to make quick decision and offers greater transparency into hidden problems without compensating the large scale of information incorporated. It is important to think about certain requirements when considering the use of such a solution. Does your company have data available at all necessary times, and only to the appropriate users? What types of problem is the department or company specifically trying to solve? Certain solutions are created to meet the individual needs of different users and skill levels. Some solutions will be able to offer modeling to determine how to improve processes for a certain department after a recent merger, for instance, while others may only focus on predicting future customer behavior and gaining competitive advantages. Consider which solution would be most lucrative for the ultimate goal of the organization. Companies face the constant battle of the need to bring in more help but not being able to afford additional personnel. Finding a way to compensate for task that can be done using technology is becoming a key advantage. 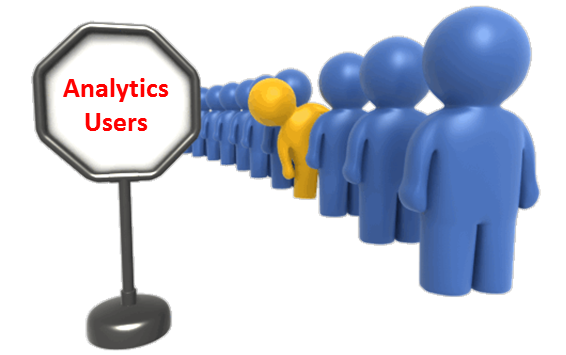 By cutting out some of the base level analytical thinking that would normally be done manually, predictive models assist with preventing overload on analyst while allowing them to better perform tasks at hand. It is important to realize that such technology is not of the future, but must begin to be utilized now to receive true competitive advantages.